Trouble With The Curve (2013) – Winning. Words. Consider Clint Eastwood’s first acting gig in four years the anti-Moneyball. Where Brad Pitt’s pic was all about modern tech, Trouble With The Curveargues that “anybody who uses computers doesn’t know a damn thing about this game”. 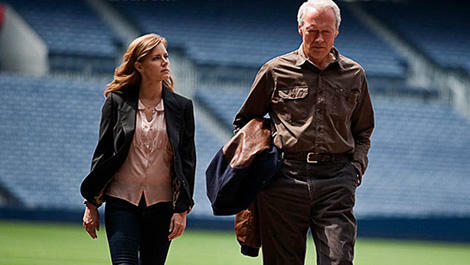 It’s sentiment over cynicism as Eastwood’s scout butts heads with daughter Mickey (Amy Adams) in a by-the-numbers drama that uses baseball as set-dressing.